It’s finally happened. Weezer has, at last, covered Toto’s smash hit “Africa.” The campaign to make this happen began last December, when a 14-year-old named Mary set up @weezerafrica, a Twitter account dedicated to asking Weezer, the band, to cover “Africa,” the song. 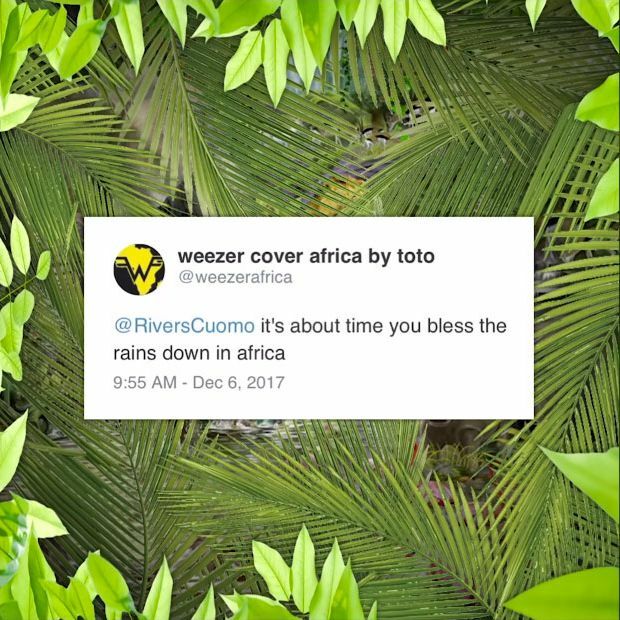 Last week, Weezer finally responded … with a cover of Toto’s “Rosanna.” Weezer said little else on the matter, only quoting a @weezerafrica tweet along with a link to the song. And then, this morning, it finally arrived … a cover of Toto’s “Africa” by famous rock-and-roll band Weezer. Through hard work and determination, and many users tweeting the hashtag #WeezerCoverAfrica, they’ve done the impossible. They got Weezer to sing the song “Africa.” Is there anything tweeting constantly and repeatedly at celebrities can’t accomplish? The answer is no.